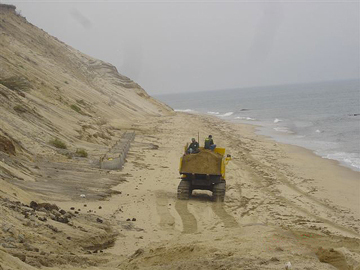 A long used technique in many locations, beach nourishment is the placement of compatible sand materials to restore a beach to its original profile which, in most cases, has experienced extensive erosion losses. 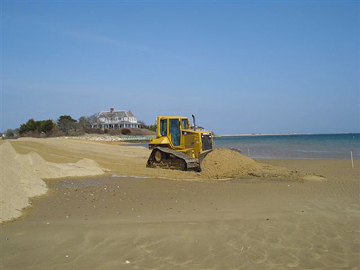 NETCO maintains a fleet of tracked crawler carriers, dozers, and excavation equipment to mine the sand at the supply point as well as to deliver and place the sand to the design contours of the beach. 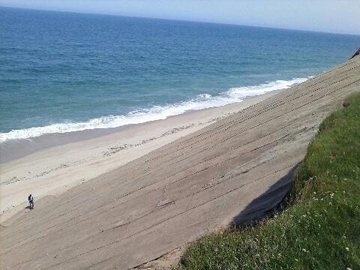 NETCO works with the client, the coastal engineer or geologist, the permitting engineer, and the other stakeholders (such as permitting authorities) to assist in designing a beach nourishment program that is economical, compatible, and feasible to construct.